If the cold thinks it can beat you, it can think again. 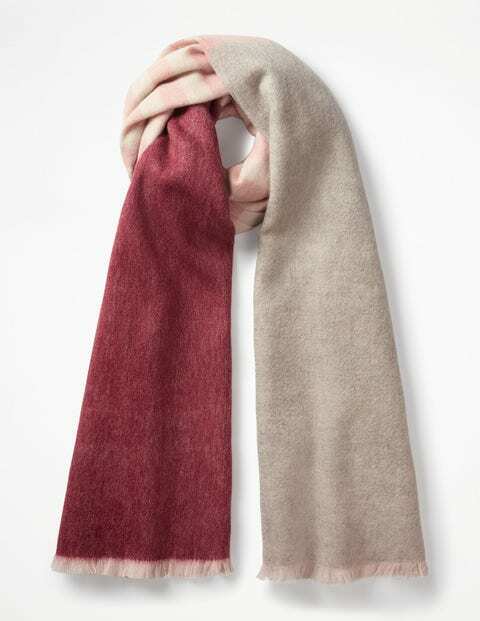 Rescuing you from the chill with the power of 100% wool, our supersoft scarf will be your stylish sidekick through frosty morning commutes and countryside rambles. The in-house-designed check and frayed edges add an extra dose of charm to this nippy-weather essential.